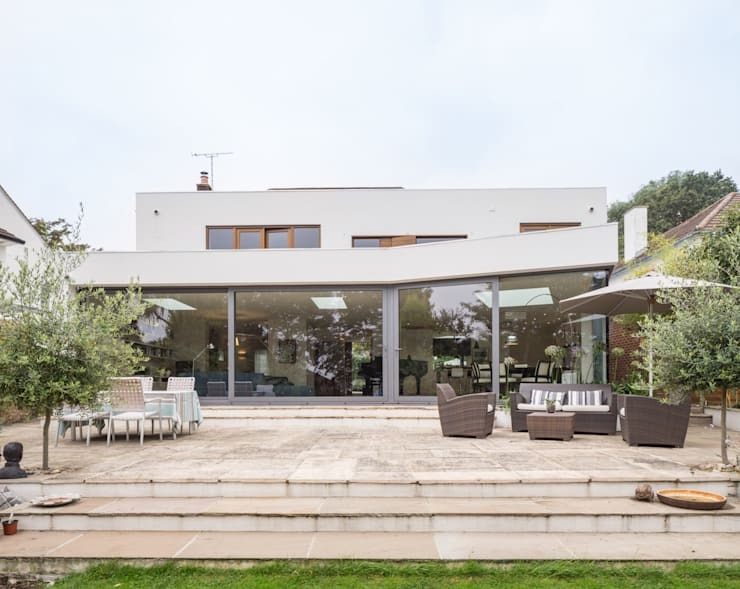 Who doesn’t love it when an existing structure, either run-down or still in perfectly adequate condition, gets treated to a makeover that results in something truly spectacular? If you’ve raised your hand, then sit back and consider today’s homify 360° highlight aimed especially at you. The location? London. The project? 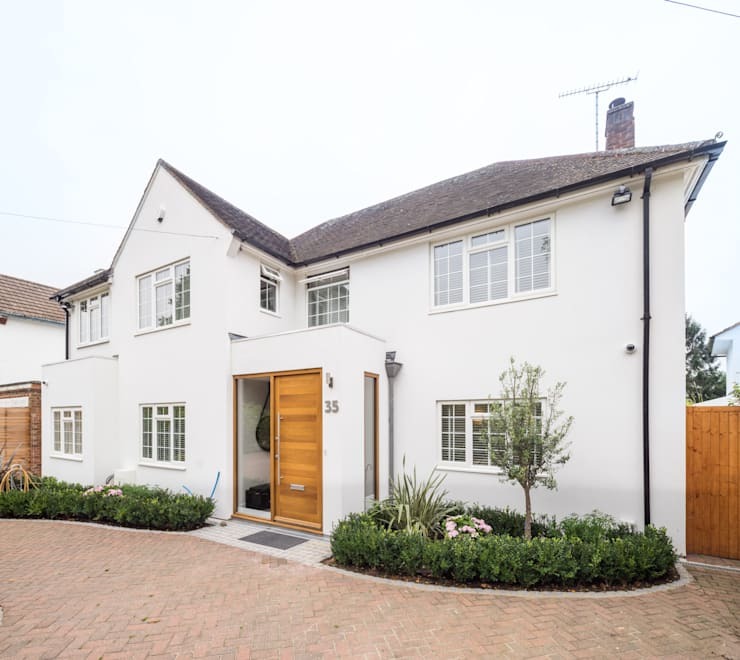 A two-storey detached house that required a modern update, aiming for a complete refurbishment both inside and out that was understated yet still eye-catching and elegant. The professionals in charge? Architectural prodigies CoupDeVille. The house’s crisp white exterior flaunts a very updated look, especially when combined with the neighbouring houses decked out in brick. With the addition of some new landscaping and warming timber tones in the side gates and new front door, the view from the street is subtle yet pleasing to the eye. We cross the threshold into the interior, where the open-plan living area awaits us. This is actually the modern extension that was added to the rear side of the house, and we’ll explore the inside spaces first. Thanks to floor-to-ceiling glass doors and windows, an unobstructed view of the spacious garden becomes part and parcel of the interior design. 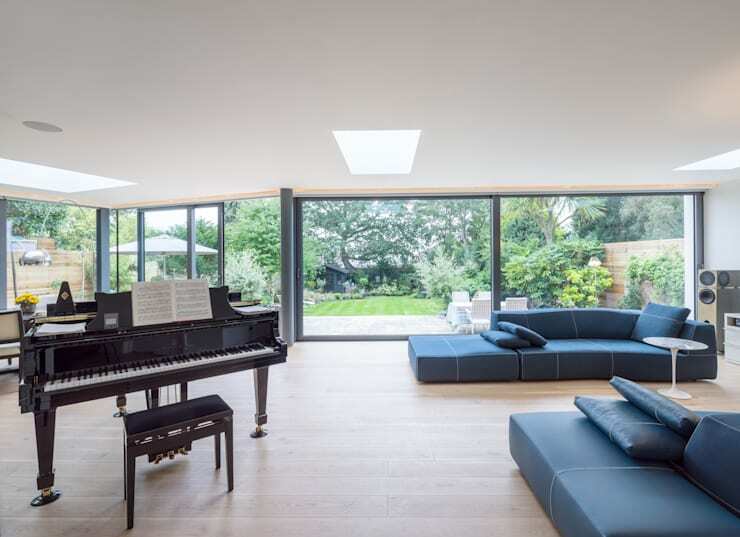 Apart from treating the inhabitants to permanent views of the expertly maintained garden, those generous glass panes also allow the open-plan living space to bathe in light throughout the day – a task which is greatly enhanced by the various skylights situated in the ceiling. As we can see, the living zone encompasses a comfortable lounge area, an elegant dining space, a grand piano, and a kitchen in the back corner. We love how the breakfast nook merges together with the island, enlarging the prepping space while also conjuring up an informal dining area (a breakfast bar, if you will). A clever distinction is made through the use of contrasting colours. 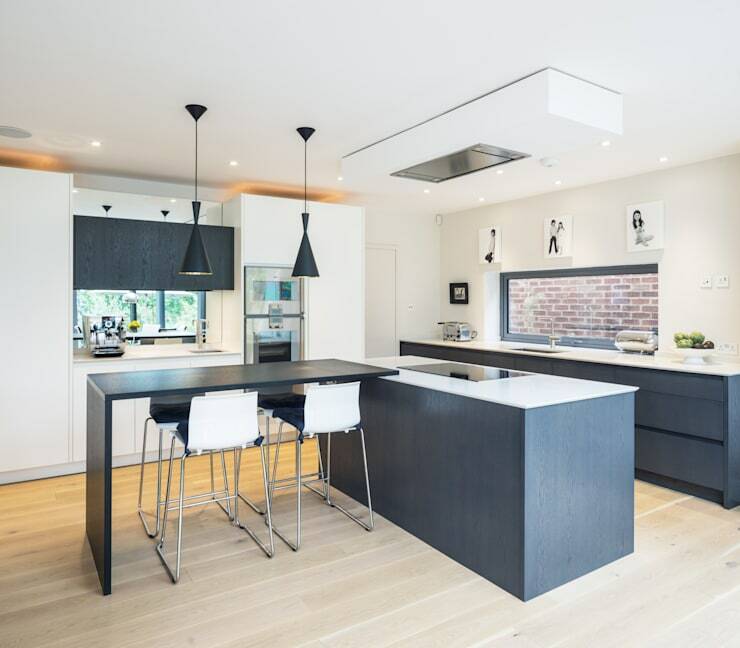 Take a look at our fantastic range of kitchen designers here on homify. Moving back towards the front side of the home, we come into contact with other tones, especially here in the second living room. This corner of the house perfectly shows us how a neutral colour palette can be dressed up with small spots of hues and easily switched up as you please. All it takes is a couple of cushions, a quirky floor rug and a bright lampshade to give a room a particular character – and these can easily be switched out for other colours with the change of each season. The more private areas are located upstairs, which include the master bedroom, two smaller bedrooms and the bathroom. And that gorgeous garden view that greeted us downstairs makes another cameo appearance, ensuring a firm dose of lush greens are inserted into this room’s colour palette. Here we see again how a neutral palette has been fluently styled up with splashes of colour. 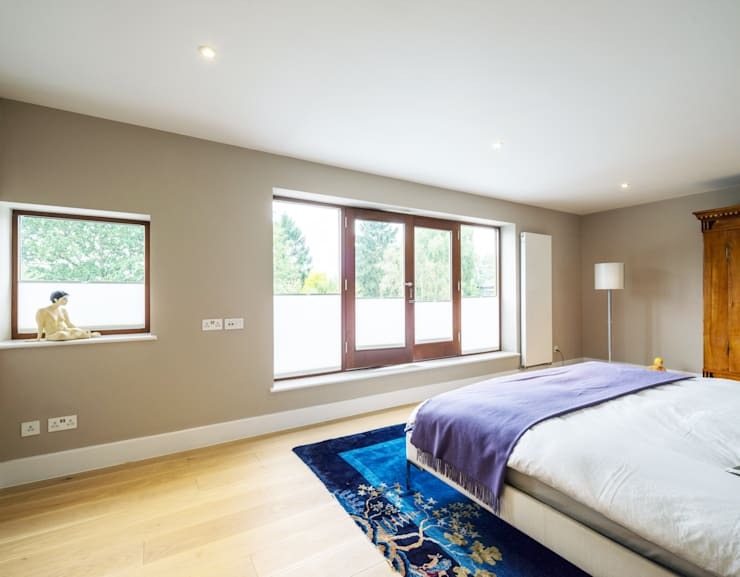 What changes (in terms of décor and colours) would you make to this bedroom with the coming of the next season? And finally: an outside look at the grand extension and how it stands proudly and stylishly in the back yard. 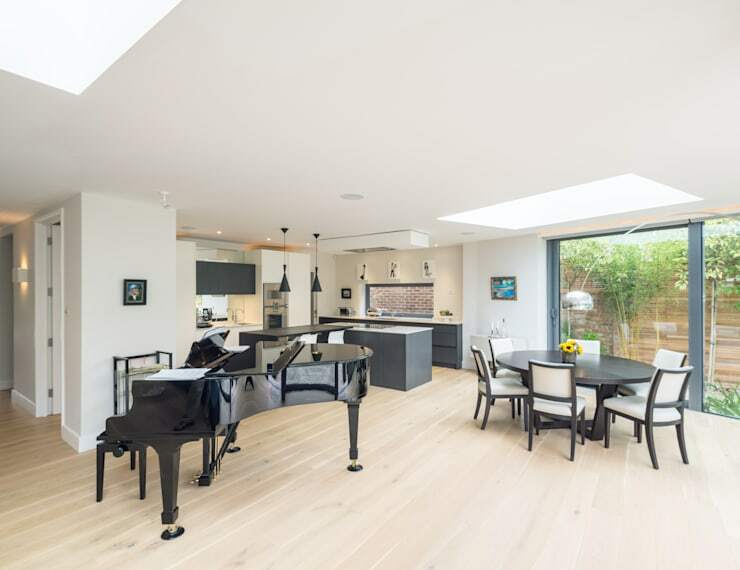 Not only was a generous amount of indoor space added to the house, but a fabulous outdoor terrace was also included, ensuring a most prominent spot for those outdoor socialising events. 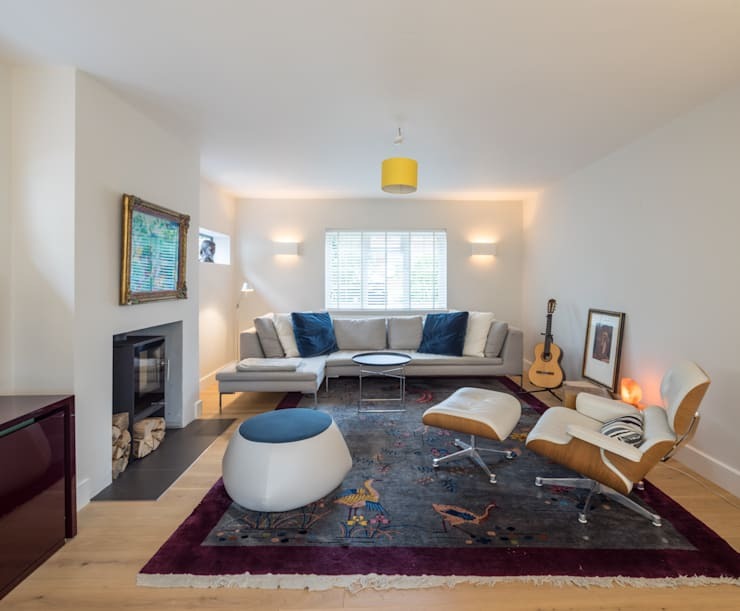 Definitely one of our favourite discoveries here on homify! Want more beauty? Then feast your eyes on: A simply fantastic house. We love hearing from you, so share with us your thoughts on this modern extension.